02-25-2015 – Amnesty International – The authorities restricted freedoms of expression, association and assembly, arresting, detaining and prosecuting in unfair trials minority and women’s rights activists, journalists, human rights defenders and others who voiced dissent. Torture and other ill-treatment remained prevalent and were committed with impunity. Women and ethnic and religious minorities faced pervasive discrimination in law and practice. 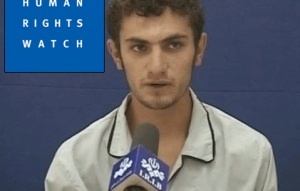 20 February 2015 – FIDH (a founding member of the World Coalition Against the Death Penalty) and its Iranian member organisations, the League for the Defence of Human Rights in Iran (LDDHI) and the Defenders of Human Rights Center (DHRC) strongly condemn the illegal execution of juvenile offender Saman Naseem that reportedly took place yesterday morning in Iran. Paris, 17 February 2015 – FIDH and its Iranian member organisations, the League for the Defence of Human Rights in Iran (LDDHI) and the Defence of Human Rights Center (DHRC) demand the Iranian authorities halt the imminent execution of Saman Naseem, and immediately overturn his death sentence, which is illegal under international human rights law. 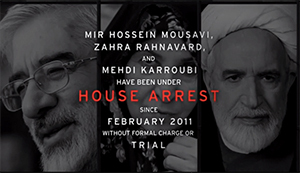 Campaign Launches New Initiative to Free Political Prisoners in Iran – February 17, 2015 -The Iranian Judiciary and Iran’s National Security Council should put an immediate end to four years of extrajudicial house arrest of Green Movement leaders Mir Hossein Mousavi, Mehdi Karroubi and Zahra Rahnavard, the International Campaign for Human Rights in Iran said today. February 11, 2015-HRW-(Beirut) – Iran’s judiciary immediately should halt plans to execute a man convicted at age 17 of terrorism-related crimes for an armed opposition group and vacate his death sentence. 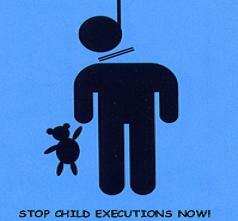 Iran’s Supreme Court affirmed the death sentence for the man, Saman Nasim, in December 2013. His lawyer and family fear that authorities may carry out the sentence in less than two weeks despite an absolute ban on the execution of child offenders in international law.